Apple is throwing a big event in Cupertino today (9 September) where it's expected that the iWatch will finally be announced. When Apple gets involved in a product category things change, which is why the tech industry is alive with rumours and speculation about what the iWatch might look like, and the date it might be released. Rumours that Apple would build an 'iWatch' have circulated ever since the original iPhone, and for a device that’s never been officially confirmed, there’s near universal certainty that it’s real – and that Apple will solve the problems that have dogged the likes of Samsung, LG and Pebble. Feb 2013 - New York Times reports Apple was using curved glass for a smartwatch and "slap bracelet" patent application uncovered. March 2013 - The Verge report that Apple's watch will run a full version of iOS. May 2013 - Apple CEO Tim Cook tells the D11 conference that "the wrist is interesting." Nov 2013 - Apple hires two experts in digital sensors from leading biotech companies. Feb 2014 - Sleep expert Roy J.E.M Raymann hired. June 2014 - Apple hires TAG Heuer's sales director and iOS 8 is unveiled with prominent health features. July 2014 - A second patent for a smartband called "iTime" uncovered. Speculation may be the only evidence we have for the iWatch’s existence, but in the tech world there’s no smoke without fire. Apple may not have confirmed that it’s working on a wearable, but its actions certainly suggest a smartwatch is on the cards. Reliable stuff indeed, but unlike most rumours, it seemed to be immediately backed up with supportive actions from inside Cupertino. “Apple’s certainly done a lot of hiring in that area,” said Sarah Rotman Epps, a Forrester analyst who specialises in wearable computing and smartphones. The biggest of those is Nike, which is widely rumoured to be rolling up the FuelBand and powering Apple’s device instead. Nothing fuels the speculation fire like a good patent, and eagle-eyed spotters have uncovered a couple of telling filings over in the US. In 2009 Apple submitted a patent for a curved glass panel that was touch sensitive, which would make it perfect for a wrist worn device. Eagle-eyed Apple aficionados will spot that Apple’s Magic Mouse uses technology similar to this, but that device was released in 2009 and this patent wasn’t submitted until 2010. 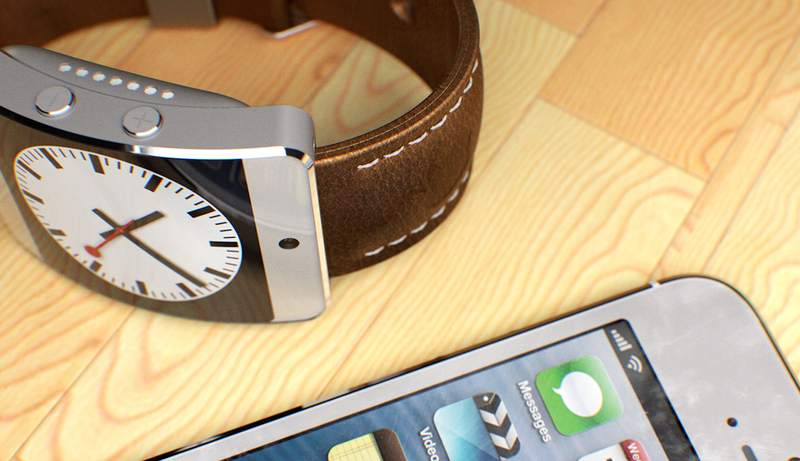 The first wearable tech-specific patent came in 2011, and was only uncovered in July 2014. Apple had filed for a device called the 'iTime' which took an iPod nano-sized device, which was attached to wrist strap. The interesting part is that the patent clearly shows that the iTime would be removable from its strap, which could mean a variety of different straps and accessories for all types of wearer. In early 2013 Cupertino started trademarking the iWatch name around the globe, which indicates it might have gone off iTime after all. On 28 August Apple sent out invites to its next big launch event - indicating that the iWatch will launch, alongside the next-gen iPhones, on 9 September. Since that invite hit tech blog inboxes, it been reported that the iWatch could be delayed until 2015 and could come with a $400 price tag. Sages in the tech world have pinned the unveiling for October 2014, which does put it in line with iOS 8’s outing. With the Health app and HealthKit API a big part of iOS 8, it would seem strange for Apple not to have a product that supplies it with information. However, a report from KGI Securities analyst Ming-Chi Ku suggests that, due to manufacturing difficulties, Apple's wearable may be delayed until 2015. Of course, we know next to nothing about the specifics of the iWatch, and we’re not even sure if it will be a watch or a band. There’s no word yet on specs, but to put things in perspective the Samsung Gear Live boasts a Qualcomm Snapdragon 400 CPU, 512MB of RAM and 4GB of internal storage. Previous watches have used everything from LCD to OLED for the screen, and Apple has plenty of experience in the small-panel game, with its 2.5-inch iPod nano series. With iOS being expanded to have a hub for health information, expect sensors for steps, heart rate, pulse meters, among others. One problem with current fitness bands is the need for a constant smartphone connection, which undermines the essential proposition, by having a watch on your wrist and a smartphone in your pocket, tracking your miles and supplying your beats. We’d love to see the iWatch have GPS built in. Firstly this would offer much more accurate data for our runs and sports, something that's seriously lacking in rival bands. Having that accuracy would also mean we could leave the iPhone at home and pound the pavements without the extra weight. "But what about music?" we hear you scream? Well, we'd love to see the iWatch be able to access our tunes and play them – and if that meant a compatible wireless pair of sporty Beats Music headphones cooked up by the good doctor, so be it. In terms of build, anything less than an OLED screen is going to be a big disappointment and be easy points scoring for Samsung, which Apple would never readily offer. However, as if that wasn't demanding enough, we're going to need at least three day's battery life, and when we do need to rejuice our iWatch, we don't want to see any appalling connectors or adaptors. Main image credit: Martin Hajek and Mac User.